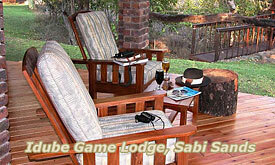 Idube is a safari lodge situated in the Sabi Sand Game Reserve, in the heart of South Africa's premier wildlife conservation area of the Greater Kruger Park. 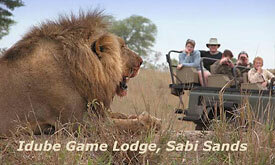 Game, including the Big 5, is viewed really close by from open Landrovers, or spotted on guided walks. 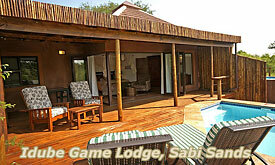 All our experienced rangers and trackers are trained to give guests the best possible wild life experience. 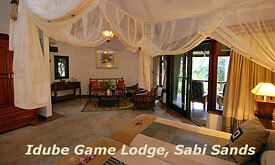 The lodge is set in an indigenous garden of tall trees and cool, green lawns. Originally designed to blend into the bush with rough, natural coloured bricks, plastered walls round the outside showers have been added creating a pleasing contrast. 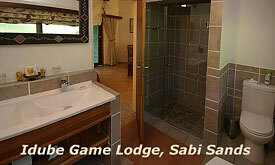 Tiled roofs create a clean, cool interior. 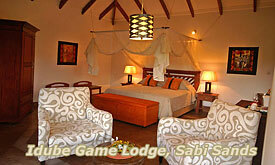 The thatched bar and entertainment areas have an immediate appeal and are the focal areas for guests to gather. 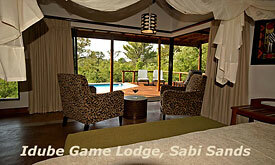 The open lounge is a great place to relax, whilst waiting to see what animals will come wandering in front of the lodge. 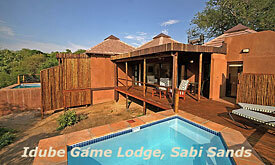 You pay only for 2 nights at the V & A + 1 X R 500.00 dinner voucher, per room, to be used at the Oyo Restaurant.